Seapines 3 bd/2ba, WIFI, free bikes, pet friendly, 5 min walk to the beach! Bedroom configuration is a King in the Master, King in Bedroom 2 and a set of bunk beds in bedroom 3. 5 minute walk to the Seapines Beach club, Bikes are included with this rental as well as free tennis PLUS 1/2 PRICE PICKLE BALL at the South Beach Racquet club. Two seperate seating areas with TV's in each. This is a very central location--3/4 mile to Harbour Town and 1 1/2 miles to the South Beach Village where guests can find the community pool and the famous Salty Dog Cafe. 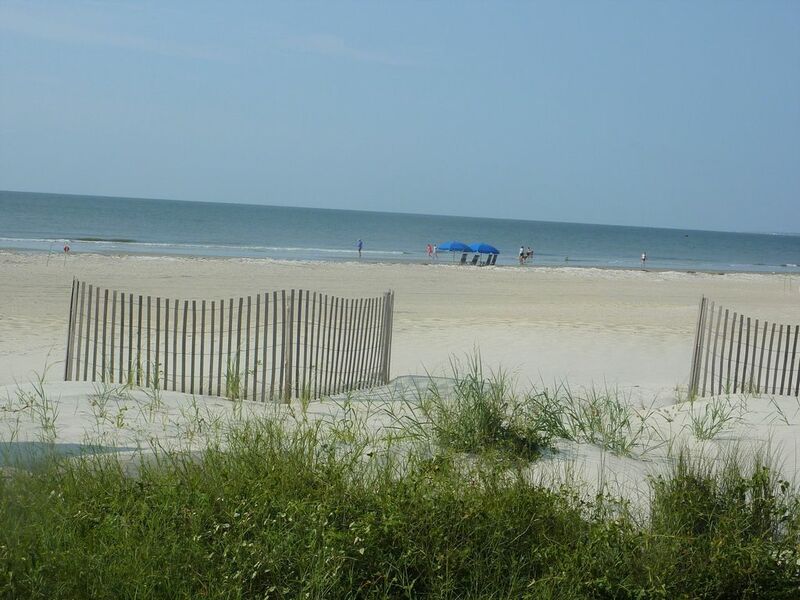 Enjoy riding the hundreds of miles of bike paths in Sea Pines on the free bikes or relax at the Beach Club. Fully equipped kitchen. All linens provided including beach towels. Beach chairs are also provided.